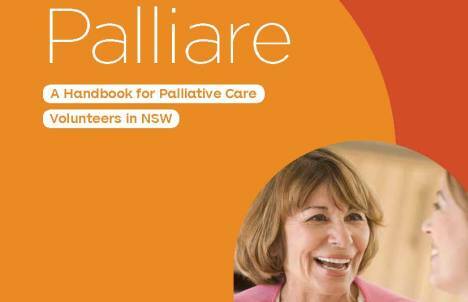 Palliare: A Handbook for Palliative Care Volunteers in NSW has been launched today by Minister Jillian Skinner at the NSW Parliament House. Palliare complements the existing training resources used by volunteer services including the Palliative Care Volunteer Training Resource Kit 2012 by Palliative Care Victoria. In her launch Minister Skinner, who championed the NSW Government Plan to increase access to Palliative Care 2012-2016, recognised the value of well equipped and trained volunteers to the support of carers and families, and to extending the capacity of Palliative Care services. Copies will be circulated to volunteer services over the next weeks to meet the needs of their volunteers. Sales of print and eBook version will be available through the Palliative Care NSW website soon.